A lot of people believe that some of us are spiritually gifted. But, what does it mean to be spiritually gifted and how to know if you are such person? According to popular belief, these people have strong intuition and are able to feel something that others can’t. 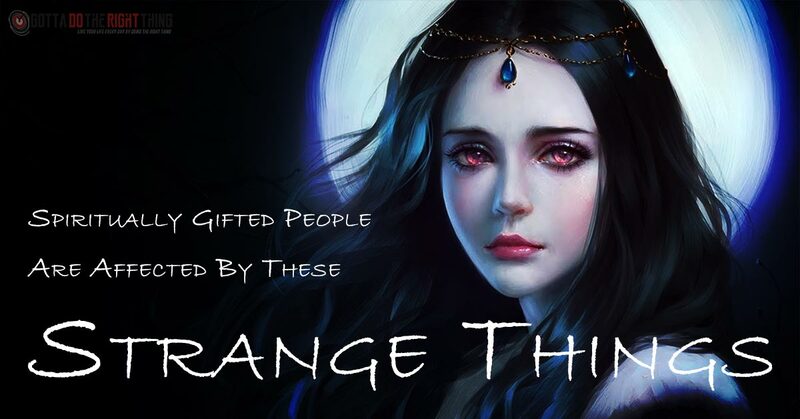 They are said to possess spiritual “gifts” that makes them different from others. But, a lot of these people are unaware of these soul gifts, so here are a few ways to find out if you have them or not. During the Full Moon and New Moon, when moon is at its strongest, you feel restless and have difficulty falling and staying asleep. Some believe this is one of the signs you’re spiritually gifted. The time between 3 am and 4 am is said to be the time of the day when magical powers are at their strongest. In other words, all those weird things happen during this hour, that is, if you believe in them. So, if you can’t sleep well or keep on waking up in this period, it could mean you possess some soul gift. If this happens to you, don’t panic. Instead, tame or increase your “powers” with the help of meditation or prayer. Animals sense emotions like kindness and anger as well as people’s auras. They are highly attracted by spiritually gifted people as they feel safe and secure near them. So, if you notice different animals approach you all the time, it could be a hint that you possess a soul gift. It is said that the emotions of those with spiritual gifts can affect their physical surroundings. Some people say dogs start barking and cats staring for no reason when sensing the strong emotions of these people. Others say plants can also sense the emotions and energy of spiritually gifted people, so they can either flourish or get sick near such person. There are even some people who say the emotions of people with soul gifts can become so intense that can make electronics to stop working or things to break. These are usually “wacky” people who need physical, mental, emotional, or spiritual healing. Others may see them as crazy, but they are far from that. In fact, they are enlightened but just can’t see it and need someone to help them and guide them. Their subconsciousness brings them to people with higher spiritual gifts that can help them understand things better. If you can sense even the slightest quanta of negative energy the moment you enter a room, it means you have a highly sensitive radar. In fact, you know something bad has happened before even getting there. You just need to look at people’s eyes and you know their thoughts and feelings. You have this ability to detect a person in need and help them with your energy and skills, as well as to stay away when you are drained of energy. But, you can also sense positive energy better than anyone else. You don’t know how, but nature keeps on calling you. It’s like you’re one with nature and you want to spend as much time there as you possibly can. You enjoy feeling it, so you want walking barefoot on grass and feeling the rain on your skin. That’s because your spiritual gift is connected to nature. It is believed that spiritually gifted people dream a lot, and that they rarely forget any dream. They often dream weird things and try to find some meaning. What’s most interesting, they usually find it. So, if you have dreams you can’t explain and keep on finding meaning in them, it might be a sign you have a soul gift. These Animals Are Powerful Omens. Here Is What They Mean!